From 1999 to 2009, U.S. Navy SEAL Chris Kyle recorded the most career sniper kills in United States military history. The Pentagon has officially confirmed more than 150 of Kyles kills (the previous American record was 109), but it has declined to verify the astonishing total number for this book. Iraqi insurgents feared Kyle so much they named him al-Shaitan ("the devil") and placed a bounty on his head. 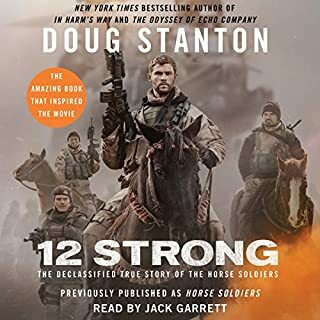 12 Strong is the dramatic account of a small band of Special Forces soldiers who secretly entered Afghanistan following 9/11 and rode to war on horses against the Taliban. Outnumbered 40 to one, they pursued the enemy army across the mountainous Afghanistan terrain and, after a series of intense battles, captured the city of Mazar-i-Sharif. The bone-weary American soldiers were welcomed as liberators as they rode into the city. Then the action took a wholly unexpected turn. 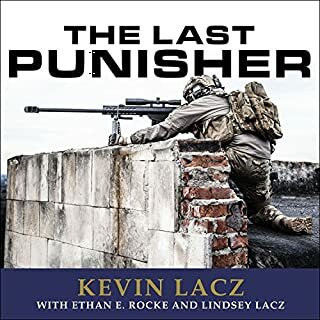 The Last Punisher is a bold, no-holds-barred first-person account of the Iraq War. With wry humor and moving testimony, Kevin Lacz tells the story of his tour in Iraq with SEAL Team Three, the warrior elite of the navy. This legendary unit, known as The Punishers, included Chris Kyle ( American Sniper), Mike Monsoor, Ryan Job, and Marc Lee. These brave men were instrumental in securing the key locations in the pivotal 2006 Battle of Ramadi, told with stunning detail in this book. 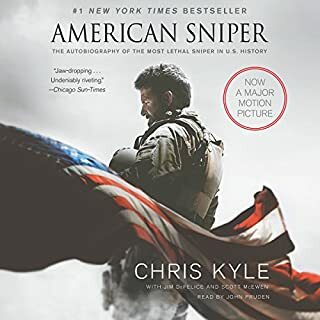 In the best-selling tradition of American Sniper and Shooter, Irving shares the true story of his extraordinary career, including his deployment to Afghanistan in the summer of 2009, when he set another record, this time for enemy kills on a single deployment. His teammates and chain of command labeled him "The Reaper," and his actions on the battlefield became the stuff of legend, culminating in an extraordinary face-off against an enemy sniper known simply as The Chechnian. Ninety-nine elite American soldiers are trapped in the middle of a hostile city. As night falls, they are surrounded by thousands of enemy gunmen. Their wounded are bleeding to death. Their ammunition and supplies are dwindling. This is the story of how they got there - and how they fought their way out. Black Hawk Down drops you into a crowded marketplace in the heart of Mogadishu, Somalia with the U.S. Special Forces and puts you in the middle of the most intense firelight American soldiers have fought since the Vietnam war. Great book...Everyone should listen to this book!! 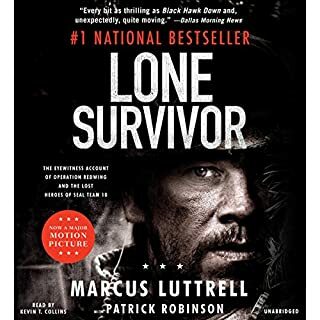 Navy SEAL Marcus Luttrell returned from his star-crossed mission in Afghanistan with his bones shattered and his heart broken. So many had given their lives to save him-and he would have readily done the same for them. As he recuperated, he wondered why he and others, from America's founding to today, had been willing to sacrifice everything-including themselves-for the sake of family, nation, and freedom. love this book ~ add it to your must read list!! Brandon Webb's experiences in the world's most elite sniper corps are the stuff of legend. From his grueling years of training in Naval Special Operations to his combat tours in the Persian Gulf and Afghanistan, The Red Circle provides a rare and riveting look at the inner workings of the U.S. military through the eyes of a covert operations specialist. Yet it is Webb's distinguished second career as a lead instructor for the shadowy "sniper cell" that makes his story so compelling. Great story about the rise of Karzai. When the Navy sends their elite, they send the SEALs. When the SEALs send their elite, they send SEAL Team Six—a secret unit tasked with counterterrorism, hostage rescue, and counterinsurgency. 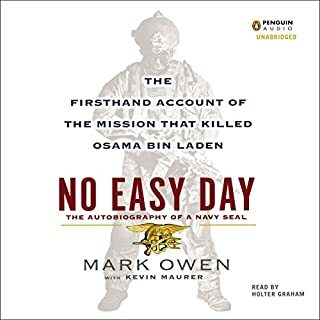 In this dramatic, behind-the-scenes chronicle, Howard Wasdin takes listeners deep inside the world of Navy SEALs and Special Forces snipers, beginning with the grueling selection process of Basic Underwater Demolition/SEAL - the toughest and longest military training in the world. Thousands of people have heard Kris "Tanto" Paronto speak about his experiences in Benghazi on September 11, 2012. But before he was a security contractor, Tanto was a US Army Ranger from Second Battalion 75th Ranger Regiment. Rangers are trained to lead by being pushed to their physical and mental limits so that they can perform against impossible odds in punishing situations. In The Ranger Way, Tanto shares stories from his training experiences that played a role in his team's heroic response in Benghazi. 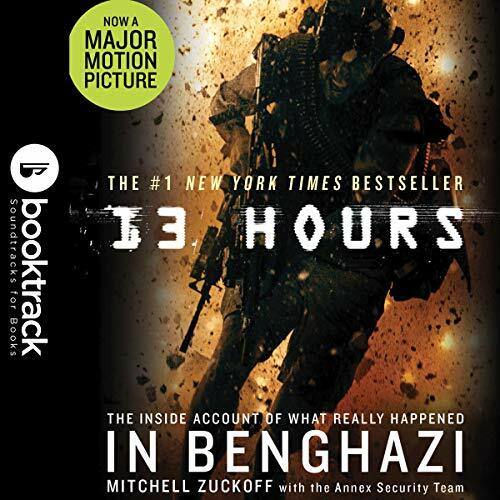 13 Hours: The Inside Account of What Really Happened In Benghazi: Booktrack Edition adds an immersive musical soundtrack to your audiobook listening experience! 13 Hours presents the true account of the events of September 11, 2012, when terrorists attacked the US State Department Special Mission Compound and a nearby CIA station called the Annex in Benghazi, Libya. A team of six American security operators fought to repel the attackers and protect the Americans stationed there. Those men went beyond the call of duty, performing extraordinary acts of courage and heroism, to avert tragedy on a much larger scale. This is their personal account, never before told, of what happened during the 13 hours of that now-infamous attack. 13 Hours sets the record straight on what happened during a night that has been shrouded in mystery and controversy. 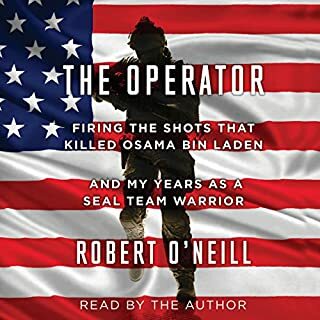 Written by New York Times best-selling author Mitchell Zuckoff, this riveting audiobook takes listeners into the action-packed story of heroes who laid their lives on the line for one another, for their countrymen, and for their country. 13 Hours is a stunning, eye-opening, and intense audiobook - but most importantly, it is the truth. The story of what happened to these men - and what they accomplished - is unforgettable. Booktrack is an immersive format that pairs traditional audiobook narration to complementary music. The tempo and rhythm of the score are in perfect harmony with the action and characters throughout the audiobook. Gently playing in the background, the music never overpowers or distracts from the narration, so listeners can enjoy every minute. When you purchase this Booktrack edition, you receive the exact narration as the traditional audiobook available, with the addition of music throughout. A movie in a book! You don't need a visual application on this kind of book. Soundtrack was superb! It blends well with the voice narration. Two thumbs up on this one! It’s amazing what these men did during an unimaginable situation. This book puts you in the middle of the intense action. It does a great job of taking the politics out of something that has been completely politicized. great book. great movie. crappy Clinton allowing this to happen! Trump 2020. Down with the deep state. Well written, well read; absolite pleasure to listen to. Exciting listening experience of an important 21st century conflict.